Takarazuka’s unique characteristics is that all the artists are young single women. So, male roles are also performed by women. The shows feature singing, acting, and dancing. The music is usually in a style similar to Broadway musicals. Takarazuka Revue “The Round of love and death” in english sub title. 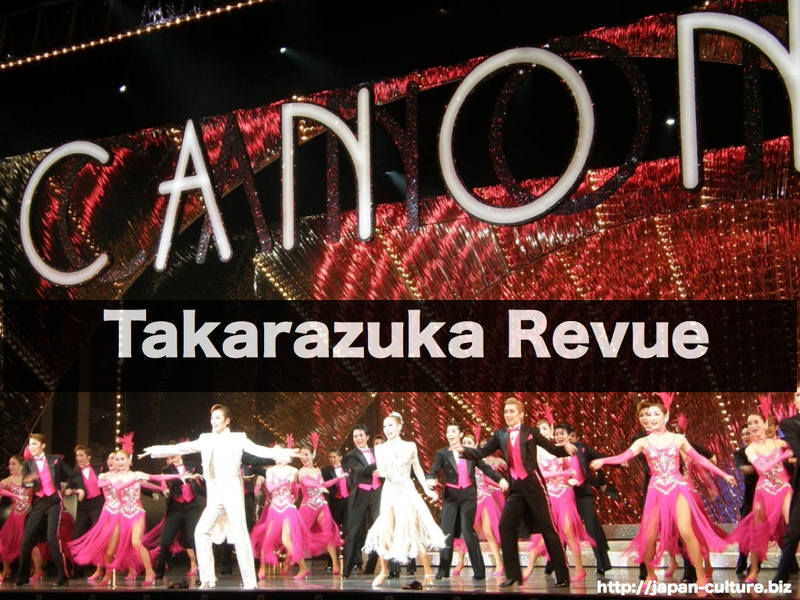 The Takarazuka Revue was established in the early 20th century. Their shows include fantasies, comedies, and classical Japanese and Western stories. The very popular show, Rose of Versailles, is a story created based on the former Royal Family of France. Takarazuka is most popular among young women. Artists who play the male roles are especially popular.